… to Errington, not in the Hindu Kush. An ordinary March Sunday in Northumberland, we parked the car west of Cocklaw and walked the 1.5 miles to Errington and back. A quiet corner of the county, there is little to see you might think. Except, the fields were full of detectorists hunting Anglo-Saxon gold and not finding it – the farmer presumably does well out of their optimism. Flying to Monterey I had a sharp apprehension of the many times before when I had, like Lincoln Steffens, “come back”, flown west, followed the sun, each time experiencing a lightening of spirit as the land below opened up, the checkerboards of the midwestern plains giving way to the vast empty reach between the Rockies and the Sierra Nevada; then home, there, where I was from, me, California. It would be a while before I realized that “me” is what we think when our parents die, even at my age, who will look out for me now, who will remember me as I was, who will know what happens to me now, where will I be from. … We kissed, we had a drink together, we promised to keep in touch. A few months later Nancy was dead, of cancer, at Lenox Hill Hospital in New York. I sent the recital program to Nancy’s brother, to send on to her daughter. I had my grandmother’s watercolor framed and sent it to the next oldest of her three daughters, my cousin Brenda in Sacramento. I closed the box and put it in a closet. There is no real way to deal with everything we lose. It has been an obsessive and busy summer. When thoughts jostle for space, I escape – two wheels at speed empties the head, concentrates the mind and lifts the spirit. I seek out empty and abandoned places – I want no distractions. Wick has been on my agenda for some time, almost five years to be precise, ever since my Highland Railways post from February 2013. The ScotRail Club 55 discounted price has expired but with enough forward planning, you can still go a very long distance for not very much – in this instance, from Hexham to Wick and back for £66, a journey not too far shy of 1000 miles. I set off with some trepidation – Wick and I have form. Back in the summer of 1987 I flew there from Edinburgh on a business trip. It is one of those airports that is disconcertingly close to the sea. For the last half mile approach, there is the distinct impression that the plane is about to do a Captain Sully on the Hudson. As it turned out, it wasn’t the landing that was the problem but the take-off a few days later. Around 15:00 on a Friday afternoon, Loganair unceremoniously cancelled the return flight and left me stranded. Taking to the railways was also full of uncertainties – the Far North Line, from Inverness to Wick, has a well documented poor reliability record. Aging rolling stock and a single track with insufficient passing loops means that disruption to one service snowballs across the rest. The occasional thump of shrubbery against windows also testifies to poor trackside maintenance. I need not have worried. All seven of the connecting services over four days ran exactly to time, the Inverness to Wick sections included. The problem with the Far North Line runs much deeper than reliability. Travel by car from Wick to Inverness and under normal circumstances it will take about two and half hours. Travel by rail and it takes over four. It is all down to geography. The line takes the long route around three firths: Beauly, Cromarty and Dornie such that the distance by rail is roughly twice that of a well trained crow on a still day. All three firths are crossed by road bridges with no accommodation for rail. At least these rail routes to the heads of the firths take in modest areas of population. This is not the case north of Helmsdale where the line wanders inland to avoid the major civil engineering challenge and associated cost of constructing a line over the Ord of Caithness. The consequence of this 19th century decision is that the line travels remarkable distances to go to the very epicentre of the middle of nowhere. For the idle rail enthusiast with no desire other than to observe the empty majesty of the Flow Country, this is heaven. For the good people of Wick and Thurso and a commercial enterprise dependent on attracting passenger traffic, it is not what the doctor ordered. To have survived post Beeching is a minor miracle. I am just grateful it has and with the support of the Friends of the Far North Line, I trust it always will. An overnight stay provided the opportunity for only the briefest impressions of Wick. Seen in a dull, clouded January light, it is a monochrome austere town. There is no graffiti, no primary colours and no evidence of the too-familiar chain stores. This creates an air of independence and self-reliance. Grey stone and grey pebble-dash is contrasted by brown woodwork; individuality is expressed by the shade of brown wood stain. Everywhere there is solid 19th century architecture which will outlive its original purpose; the place has a curious magnificence. It also seems prosperous – there is major construction work down by the harbour whilst oil rig support vessels are moored to the quayside alongside modern fishing boats, although nothing like the herring fleet numbers that crowded these waters in the 1800s. In the busy harbourside cafe, Wickers World, the preferred choice of dress is hi-viz and hard hat. If ownership of German SUVs is a reliable indicator of general prosperity, then the people of Wick are doing just fine. This is a collection of images taken on the evening of my arrival and the morning of my departure. 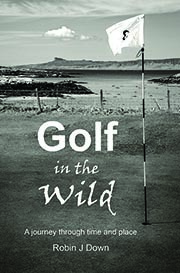 Before too long I will return – by car and with golf clubs. The links course, three miles north of the town, is just too tempting. In 1651 Cromwell’s Army formed an encampment before moving on to invade Sinclair and Girnigoe Castles. This area of the town is called The Camps. Temperance (Scotland) Act closed all licenced premises in Wick for 25 years from 28th of May 1922 until 28th May 1947, with the Camps Bar being the first to open its doors. The lifeboat – Wick harbour, late afternoon. The lifeboat station – Salmon Rock – no longer in use. Wickers [sic] World Cafe – Wick harbour. Across the road from Wickers World. Swung clear above the earth’s rim than it is gone. We live as gleaners of its vestiges. (dig around on this site and you may find various tweeted phone images from the same journey).